"Ellen was very conscientious. Kept things moving!" "Ellen was great. She was super nice & always quick to respond to any questions we had. She even helped us find out some more obscure information through some of her contacts..."
"...Ellen was very flexible with her schedule times & meeting locations. I would definitely recommend her to anyone looking to buy or sell a home!" "Ellen is very knowledgeable. Always available. Easy to work with!" "Ellen has a great business sense to close the deal!" "Ellen's responsiveness, accessibility, pleasantness, affability, consistency, knowledgeable & client-focused attitude were wonderful. We highly recommend Ellen van Nagell & are thoroughly enjoying our new home! Thank you Ellen!" "Ellen was not a high pressure sales realtor. She was invested in our interests. She was so friendly & prompt." "Ellen was so supportive. She always responded to any question or concern I had from beginning to end. I cannot say enough wonderful things about Ellen. 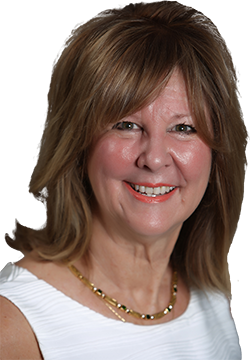 She is not only an excellent & superb realtor, she is just as much the person..."
"...I am so glad I called Ellen & asked her to be my realtor. I asked her to "hold my hand" through the whole selling & buying process & she did just that. Ellen always had my best interests in mind! THANK YOU ELLEN!!!" "Ellen has a way of making all your worries & concerns be put at ease. She finds just the right home for you & your family & makes sure all your questions are answered. She is truly wonderful!" serving Oldham County, Metro Louisville, & Henry County. Finding the right home can be a difficult process but no matter what you are looking for as an experience real estate agent I can provide you with the resources you need to make the home buying process simpler, from neighborhood information, to tools to estimate your mortgage payments, and buyer resources and articles that will help you through the home buying process. Thinking about selling real estate in the Oldham County or Metro Louisville area? Please take a minute and browse my local neighborhood and school details, real estate mortgage information and interactive maps for the your market. Thank you for visiting www.ellenshomes.com! This is a one-stop real estate website for all your home buying and selling needs in Goshen, KY. I’m a professional real estate agent who will help make your search for a new home an enjoyable experience. Please feel free to contact me directly if you have any questions about the real estate market, or buying or selling a home in Oldham County, Metro Louisville or Henry County.